Click the image to see The Big Bang flyer! Do thunderstorms and fireworks send your dog into a panic? Find out how noise fears and phobias develop, and learn several methods and techniques which may be helpful for calming dogs who over-react to noise events. Join us on Thursday, March 29th from 6-8pm for this great seminar and be sure to spread the word! The Big BANG! is a seminar taught by Claudeen E. McAuliffe, Ph.D., M.Ed., CAP-2, CDBC Manager, Behavior Department Humane Animal Welfare Society (HAWS) of Waukesha. 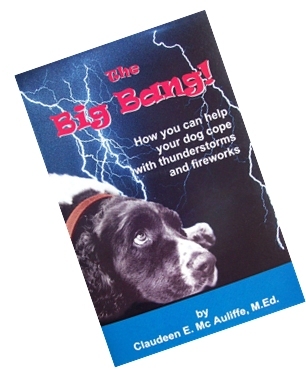 Dr. McAuliffe is also the author of the book entitled The Big Bang! which we carry here at EOTL. Call the store at 262-363-3338 to register. All proceeds from the $10.00 seminar fee will benefit the animals & programs at HAWS. Purchase in store or online at EOTL.They’re out in force already! TICKS. So many of our customers are looking for products to use that keep the bugs away – naturally. We have the products that really work without putting toxic chemicals on your friend. Our most popular selling web item is Buck Mountain. Nearly all insects are immediately disabled and then die after contact with Buck Mountain Parasite Dust (e.g. 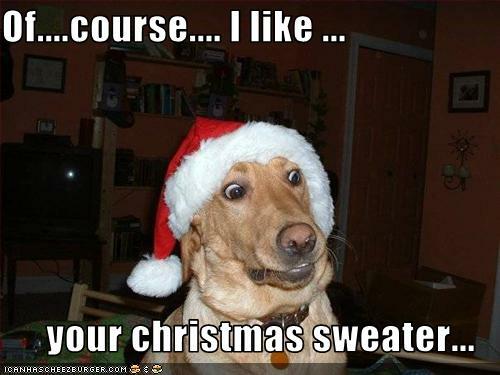 fleas, ticks, lice, flies, etc…). Fleas and their eggs, larvae and pupae, die quickly when they come in contact with this product. Active ingredients: Organic Neem (Azadirachta indica, is very healing and is a vermifuge and pesticide), Organic Yarrow, Diatom Flour. The oil of neem is tough to work with because it is messy. Powdered neem herb is very effective if insects come in contact with it. Therefore, a very fine powder is a building block of their ecto-parasiticide. Over the years treating wounds on horses, it was observed by Buck Mountain that yarrow, when applied as a vulnerary to fly covered wounds, resulted in the flies vacating the horse. Buck Mountain was unsuccessful in making a yarrow extract that repelled insects; only the powdered whole herb acts as a repellent and is an active ingredient in this product. Lice, mites, ticks, etc…infestations result in dermatitis of one degree or another. Yarrow is very healing and is a repellent, albeit a mild one, to some insects. Diatom flour cuts the exoskeleton of many bugs e.g. ants, beetles, etc. and they dehydrate and is an active principle in this product. Buck Mountain comes in a 3oz. jar and has an indefinite shelf life. Warmer weather means it’s time for walkies! But walks can also mean frustration if your pooch doesn’t saunter along at your pace. Many of our customers have been complaining that they want to walk their dogs but their dog causes a scene around people or other dogs. If your dog barks and lunges at other dogs when out on a walk then this is the book for you. “This second edition of a McConnell/London classic is better than ever! Updated and revised to be even more user-friendly than before, Feisty Fido is designed for anyone (novice or professional) who works with dogs who are overly reactive to other dogs when on leash. Introducing a new canned cat food we added to our shelves, by—you guessed it—Dave! What’s unique about Dave’s food? Dave’s Naturally Healthy™ Canned Cat Food is the best value for a good quality canned cat food you can buy. If you read the ingredient panel, you will notice it is loaded with real turkey or chicken. Turkey and chicken are a terrific source of protein. You will also notice there is no cereal, filler, by-products, wheat, soy or gluten. Plus we added vitamins and minerals to make sure your cat gets the proper nutrition she needs to thrive. The quality-price equation. Want to feed the best and pay less? All Dave’s products have one distinct advantage over other super premium holistic brands – price. Why? Dave’s has eliminated the middle man and excessive marketing costs that inflate pricing, so he is able to deliver you a top quality holistic product at a drastically reduced price. In 35 years selling premium pet foods, I have seen a gazillion brands come and go. I am often mystified at the prices of some of these products. As my business and our volume grew, I was able to go directly to the manufacturers and have them make formulas equal to the very top holistic brands and cut out the middle man. It is a huge savings I have been passing along to my customers for years. I have some pretty sophisticated customers not to mention some pretty finicky ones! They know good food and they appreciate good value. We don’t want to jinx the warmer weather, but our winter dog clothing and boots are 30% off. Now is the time to stock up for next season! This is while supplies last and there are a few exclusions—stop in and take a look! Keep Them Doggies Movin', Rawhide!